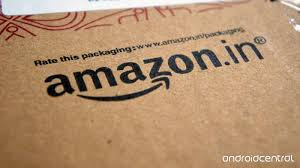 Amazon India has announced the launch of the School Bookstore on Amazon.in. As schools across the country reopen for the new academic year, the School Bookstore will seek to lighten the load on parents and students of running around for school supplies and be their one stop destination to shop by class, subject and board. Right from nursery to 12th standard, parents can find books for all subjects across different boards - CBSE, ICSE & IGCSE - and publishers such as NCERT, with delivery at their doorsteps. The store is segregated into books for each class and subject, across different syllabi, for an easy shopping experience. In addition to textbooks, students getting ready for competitive exams like the JEE, NEET, Olympiads can find study material on this store. Guidebooks and sample papers are also available to help students prepare for these exams.